Located in the heart of Chennai, Dreams Manor is a right choice for a memorable stay. 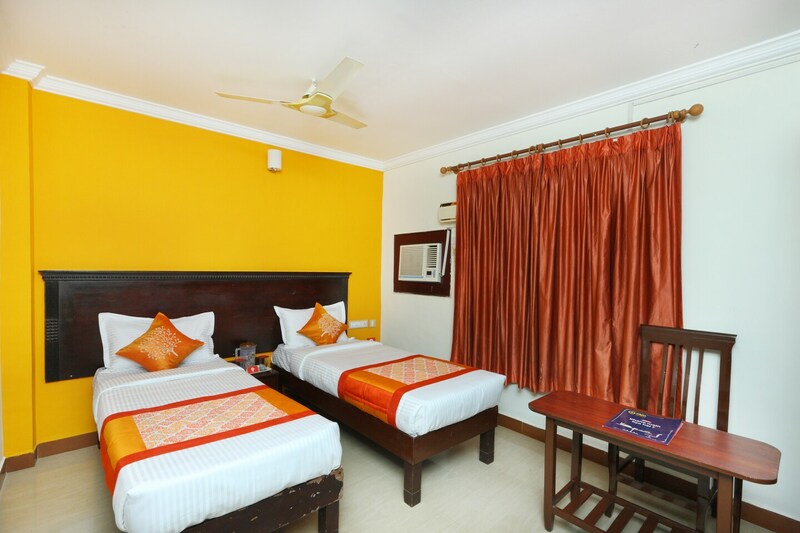 The rooms here are bright and spacious and well-equipped with basic amenities for a pleasant and relaxing stay. The bright and warm colours of the walls add a glow to the decor of the room. Seating area here is also finely decorated where guests can spend some time to relax and unwind. Power backup and CCTV cameras ensure the security of the guests. Free Wi-Fi service can also be used by the guests to stay connected with social media or to do their pending work. The hotel is surrounded by some fine restaurants where guests can enjoy delicious local delicacies.